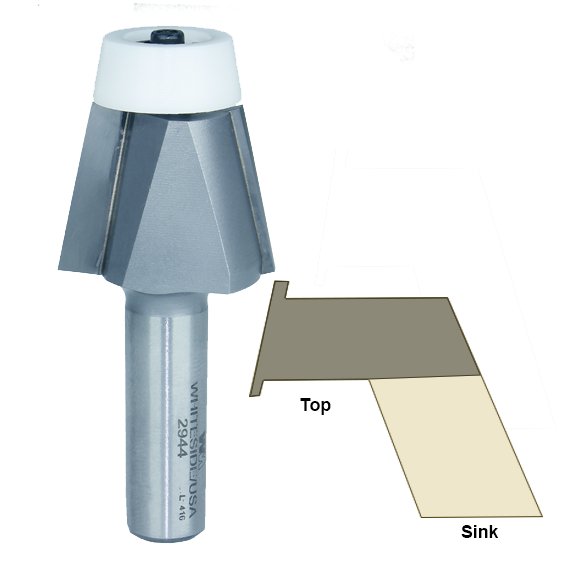 Useful for beveling the upper edge of solid surface materials from 1/2" to 3/4" thick when undermounting sinks. Tip mounted nylon bearing exactly follows the shape of the material. Carbide tipped. Double flute. This bit comes with a BB300 (3/16" ID x 7/8" OD x 10 deg. bevel) bearing. Whiteside Machine Company - Claremont, North Carolina.